This is where I just go straight through the book, looking (actually listening) for anything that stands out. Words, characters, plotlines. Does everything fit? If it stands out to me, it will probably stand out to my readers. As part of the earlier edits I usually convert the draft to PDF, and here I do it again. This time I read and listen. If you have adobe reader, Ctrl shift Y turns on the reader and Crtl shift B activates it (for Windows). Then I can just lay back and listen, taking notes at anything that sounds wrong. Being able to listen to my words also gives me a chance to catch things I usually don’t in print, like rhymes or alliterations, repeated words or repeated phrases. Another thing I look for is places where the description or emotion is insufficient (since those are my weaknesses). I can find this out loud far more easily than I can just reading the words. I don’t usually find a lot wrong–details, things I need to check like timelines (which moons are in which phases, do the characters speak of things they can’t know yet, etc) and blocking. If one character is involved in a conversation and a moment later he wasn’t present that should have been caught previously, but sometimes I still find such things even at this stage. Writing this editing series has been interesting on a number of levels, because it’s forced me to actually quantify the editing process and write it down. It’s been a loose structure, but I’ve never written it down this way. Edit five is really pretty quick, because by this time I’m deep into another project and have no interest in finishing. In the fifth edit I’m doing a broad over-view to make sure things fit. Are the issues creating a problem with flow? Does a particular scene work? Why did I put that description there, and would it be better in another place? Did I use the same description more than once? (Which I have done, oops) Are there any sections where I get bored, and want to go do something else? This is the place where I work on fight scenes, to make sure they read quickly so that the readers don’t get bogged down in details. It’s basically a read-through, stopping at anything that catches my attention. Then I send the book out to the beta readers again, if I want to overwhelm them. Then on to edit six. I usually have this process going for a couple books at a time, so one (or five!) might be in Traige stage while another is in stage five and two are in the emotion-description edit stages. I try not to have more than one in each of those two categories, because otherwise nothing else gets accomplished. I don’t do description. My novels have been described as “place holders in a shadow world” because there is little or no description. Shapes, colors, scents, sounds, all have to be added after the fact. The descriptive edit consists of colors, textures, smells, sounds, movement, and even size. Does a character look up or down at another? Are her fingers small? What color are the leaves on the trees? Trying to fit all the senses in, after the fact, is more difficult to me than the emotion edit. It’s just an artifact of how I see the world. I like reading books with a solid physical presence, so I try to put those things in my novels. This edit and the emotion edit take the most time. I’m afraid I have a desire to appeal to everyone, so I want those who like description to be drawn in by the description, and those who like characters to be drawn in by the characters. There’s something for everyone here. I just need to make sure there’s not too much, but that hasn’t been a problem to this point. If anything, my readers want more than I’m giving them. I’m much better in this sense than I used to be, but it’s still a continuous struggle. Edit two is the voice edit, and although part of this gets taken care of in the first edit (mostly on accident) I still need to tweak things. This is usually a short edit for me, making sure the characters are consistent and recognizable. I need to make sure that each of them is distinct, even if only to myself. I have a bad habit of transferring traits, which leads to using the name of the stolen character in places where they do not belong. So I know that if I use the wrong name for a character they’re blending and I need to fix it. One thing I have difficulty with, particularly in first drafts, is differentiating the ages of various characters. Some act too old, some act too young, and I have to keep in mind that the way the other characters treat them is going to make a difference in how my readers judge ages. It doesn’t help that I can’t name those ages outright because days and years are different lengths on different worlds. This leads to my readers saying “What? He isn’t acting 13!” when the character is actually physically 17 or some such thing. So the actions have to stand in for statements to tell my readers what age they’re dealing with. Again, this is one where I have to trust myself. Do I like (or hate) the characters? Are they distinct enough that I can read straight through without getting stuck on some odd little quirk? Am I trying to figure out who is speaking? If everything’s good it’s time for the description and emotion edits. These two are the hardest for me. What I call the triage edit is the biggest one for me. I’m a pantser, so I write from beginning to end without any kind of outline. This leads to plot holes, characters that slip in and then slip out again, as well as a multitude of other problems. Things that happen in real life, but they’re “not acceptable” in writing. For me this is the best way, even though it leads to more work after the fact. I like the fact that my stories are unpredictable, that the story develops as if these things are actually happening rather than that sense of deliberate construction that I get with many books. The triage edit is the post-writing surgery phase, or the storyline edit. I read through the story, complete, once. I usually also hand it off to a reader at this point, if someone is available, because I literally can’t see many of the problems. I am getting better at that, but I’m not there yet. After I’ve got the plot straightened out (or at least unknotted and the pieces welded together correctly) it’s time to go back, fix the broken characters, put in missing scenes (I seldom have to take scenes out because the writing is so organic) or move them around. Here’s where I have to decide on the final “shape” of the book. Could one character’s POV be removed or transferred to another more central character? Would a prologue be helpful? Did I start the book in the right place, does it need more or less backstory? What about the conclusion? Is it satisfying? Does the climax follow the three-act crescendo, or is there a gap in the middle? These are all things we’re used to in the books we read, and although we don’t miss it in real life readers notice if it’s missing. When I’m done with this I read through it again. I have to trust myself on this piece–I can tell that something’s wrong, or something’s missing, but not always what. I can see it in other people’s writing, but not my own. If I feel something’s wrong, I’m right. So if necessary I pass it off to another reader. Once I feel comfortable reading it all the way through, it’s time for Edit 2. On this beautiful spring morning, we bring you a classic podcast featuring one of our favorite guests, Mark “M.L.” Forman, author of the Adventurers Wanted series. Jocelyn hosts, while Lauren and Mark talk about life at a full time day job when you are also a writer. Enjoy this lively discussion all over again. Last Saturday something horrific happened to a dear friend of mine, our Writing Snippets colleague, Lauren Ritz. Lauren has worked tirelessly for more than a year to finish and polish a book for submission. She quit her day job to write full time–something most of us would never have the courage or trust in God to do–and she is living from minute to minute on the remains of her savings. She has written fiction for years, has a degree in English from the University of Utah, and has studied all types of publishing. She learned from her own study how to format her work to different media options, learned web design and maintains three blogs. She offers professional editing and reviewing services. She is doing what she loves more than life. A week ago, she put a book of short stories up on Smashwords and Amazon, alongside an LDS Suspense novel she had just finished. She said she was “learning the system”. On Saturday, March 28th, in the middle of a family party, I heard a noise from her that I hope never to hear again; a choking, garbled sound that made me sit still for a moment in shock, then get up to go see what was wrong. No, no death. No gory dismemberment. Not physical, anyway. Someone had stolen her book. They took her story, her cover art–which was also her own work, an original painting—her title; they didn’t even bother to change her name. She had offered the book for free, but they had changed the price as well. They were charging $2.99 for the book she had offered for free. Her blood, sweat and tears, her passion, her effort and sacrifice, her love of writing, hijacked to put money she desperately needs in the pockets of some subhuman toads. Happens all the time, you say? Maybe. In a five minute search we found two other authors who had the exact tag-lines and symbols added to their books. Lauren contacted one of the violated authors, and she said the same thing. “It happens all the time”. This author has numerous books on Amazon, and said it has happened to her before. No biggie. This is what I have to say: First, if you ever considered putting an electronic submission up, be aware, “It happens all the time”. If you have a book on an electronic site, cross-reference your title, your name, etc. Do a search for similar titles. Keep an eye on things there. Don’t let this happen to you. Second, (and yes, this is a shameless plug!) go check out Lauren’s blog. Find her on Twitter! Look up her books on Amazon and Smashwords!! Her book title(the un-plagiarized one) is listed below. She is a magnificent writer, and my own muse in all things literary. This doesn’t have to be a bad thing for her. Maybe her friends can help make it positive. Lauren, I’m cheering for you! People made it sound like formatting a book is so complex I wanted to walk through the process with something small and simple before I got too deep into formatting Without A Voice, which I intend to put out at the beginning of April. 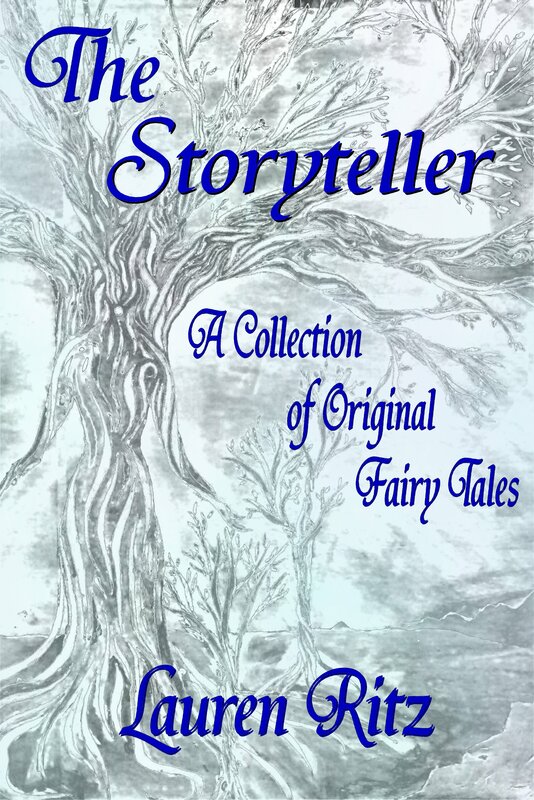 The Storyteller (https://www.smashwords.com/books/view/296281) is three home-grown fairy tales and less than 5000 words, so I figured it would be a good test. The formatting itself was relatively simple. I assume that it would go faster as I get used to the main points. The Smashwords style guide walked through the process step by step and was very clear. I already knew from working with Calibre that the smart-quotes were a problem. It also doesn’t like the formatted m-dash. I replaced these with the two dash format. I uploaded four versions before I got it where I wanted it. There’s still one spacing error that I can’t figure out how to fix but the Table of Contents (terminal error on the first try) the indents (second try) and the line spacing (3rd try) are as they should be. When I got into it, I found that usually when I had an error I could check the formatting between the paragraph previous and the paragraph with the error, and fix the error paragraph to match the other. These are probably leftovers from Word, which keeps a lot of hidden formatting. When I finished I learned that not all formats are equal. Mobi and e-pub looked fine, but RTF kept eating words and the table of contents didn’t work. The problems were severe enough that I turned off that format. PDF looks OK, but Online Reading originally looked like a total waste of space. Everything was jumbled and smashed together in that format. Then I realized that there are options for reading in that format to the left. I have no way to check LRF or PDB, so I’m considering turning those off as well. I guess we’ll see. Now that I’m comfortable with the process, I’m going to start formatting Without a Voice. The snow is falling again. The trees that were almost brown yesterday now huddle under a blanket of white. Sometimes snow comes down in flakes, sometimes in tiny balls of ice. At the moment it’s falling one tiny, almost invisible fragment at a time, but tomorrow I might get lost in it just stepping out my front door. Writing is like that too. Sometimes I’ll get a single solitary idea that drifts in and might be gone if I wait too long or get distracted. Sometimes the idea is a chunk of ice that falls and loses itself among all the other chunks of ice. Sometimes the ideas come in flurries and I can’t decide which to use, and sometimes I could just sit and watch them drift for hours. Like snowflakes, ideas are fragile and ephemeral, there one moment and lost the next into a sheet of white that smothers the world. The trick is to hold one of those in your mind long enough to get to the computer (or the paper, if you write that way) and begin. If you continue watching, enjoying the beauty of drifting white, the ideas will be lost and you’ll never find them again. At least that’s the way it is for me. Ideas spring at me in the most unlikely places, sometimes tiny and fragile, sometimes bludgeoning me with the need to write. Most of them go by unnoticed. A few catch my attention, but once in a while I’ll actually manage to get to the computer before the idea melts into oblivion. Although there are some major differences as well–I have never shoveled eighteen inches of story ideas off my front porch.